Are you overwhelmed with the decluttering process? 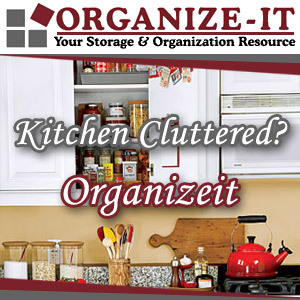 Do you wish you could get through the clutter in your home fast? To help you get your home streamlined and clutter-free, below are 21 items you can declutter and recycle right now to help you jump start your decluttering journey. Let’s dive in! Now, this list is not just any declutter list of items you can throw away. These items are also items that can be recycled, donatable, or repurpose. These are papers /magazines in your home office or your bathroom/ powder room areas. It could even be in your grilling storage bins that you may use for kindling. Match up all your lids with each bowl you have. Then recycle the ones that don’t fit any of them, and the shabby ones too. If they are clear plastic, recycling them is OK. Colored containers will need to be trashed or donated to a charity if they are in good condition. We all have extra glass bowls that we replaced with new ones, but forget to get rid of the older ones. Do this now. Clear glass usually can be recycled. If you go to the dry cleaners often, you probably have several of these wire hangers. Visit your nearby dry cleaner and ask if they accept the hangers back. If not you can probably recycle them through your trash removal company. Some charities accept gentle used old shoes. But, they have to be like new. If you have a box, that’s even better. Nike stores take shoes of any brand. Check here to learn more. Clothing is probably the easiest to get rid of quickly. Make sure they are in good condition and washed before bringing them to a charity. Call them up first or visit their website to see what they need. Visit our frequently updated charitable locations page. Toys can range from small to larger toys and baby to teenager toys. Find those toys that are behind other items and have a layer of dirt on them. Ask your kids to help weed through them with you. Pick items in those rarely visited areas of the home. Some of the newer toys will say they are recyclable on them especially if they are plastic and some will not. But, if the items are gently used, you can donate them too. If you have a garage filled with reused cans filled with nails or other things, you can probably recycle the cans. I would not recommend recycling the nails though. You can scrap nails and make a little money if you have a lot of them. If you are getting rid of old toothbrushes, instead of trashing them, you can reuse them for cleaning. They work great to clean small crevices on track sliding doors and windows. Be honest, how often do you look at your old planner and calendars? If you have beautiful calendar pictures, try cutting them out to a standard picture frame size and hanging them on the wall. A great time to pull these old school papers is in the summertime. Recycle as much of the paper as you can. Some glossy paper is not recyclable. Do you have any unused gifts in your basement or closet? Donate them to your favorite household charity. In the past, did you receive flowers in vases and didn’t know what to do with them? These items are recyclable right away. The colored glass may not be recyclable though. Flip through your CD and DVD collections. Are there any kid movies or albums your kids don’t like any longer? Pull them out and donate them or give them to a friend or family member with kids that age. They will love it. Have a new set of dishware? Go through and clear out the old items that do not match. The clear glass items are recyclable. If you have a collection of 2 or 4 pieces with all the parts and are in good condition, donate them to a charity or give them to your college-bound kid. How often do you weed through your costume jewelry? Not usually right? This one is a very common one. People tend to get stuck on how to get rid of these unwanted items. Visit our Places to Donate Jewelry post. If you want to sell them, you should get it appraised first. If I don’t wear a scarf any longer, but I still love it, I would hang it throughout the house to show it off. It can also lay on a coffee table to add color to a living room. How many 3-4 paper plates from a party that happened several years ago do you have? Pull them out and use those for kids snacks or your kids’ playdate so you can use them up. Oh, the dreaded filing cabinet. Yes, you know I had to add this one to the list. Many of these papers, can go right into the recycling bin. But, be sure to pull out any personal information that needs shredding. And, last but not least is the unwanted books. Going through the younger children’s books is a great place to start. Well, I hope this inspires you to get rid of the excess stuff in your home. Items are only cluttering if they stop you from enjoying your home. So, don’t let them. Please share your favorite things to get rid of to clear the clutter right now. How do you recycle them? Please leave a comment below. Check with your trash removal company and see what they recycle before recycling your unwanted items. Below are trash removal companies in eastern PA region. Some of these links are specifically about their recycling programs and what they accept. Click through and find out more. I never realized that florists will take back vases. That’s good to know, because it’s hard to find new homes for them, and how many do you really need? Like Linda, I have taken vases back to local florists. They are happy to get them back, and I feel it is an immediate reuse opportunity. I just helped a client get rid of a bunch of calendars the other day. Calendars are one of those items we keep because we have visions of framing the images, but very few people actually get around to that project. Pick one for the year and if you don’t immediately use the images for decor, let them go! Great list… good to read these every month to light a bit of decluttering fire! I swear vases magically multiple in the cabinet above the fridge! And I completely agree about the purging of toys. With Christmas on the horizon, I’ve started to weed out my son’s stash. Just reading this post makes me what to let go and recycle stuff! What a great list. I found it curious about the card donations and that St. Jude’s wouldn’t accept cards made from particular companies. I wonder why? For vase donations/recycling, sometimes local florists will take them. They appreciate getting them and will reuse them. One of my clients regularly gives back unwanted vases to a florist. It’s a win/win. I thought that St. Jude’s request was odd too. I think maybe because their cards are on glossy paper usually. The vase donation/recycle to a florist is a great tip. Thanks for sharing. Great list. Pick one or two and get started. Yes, I agree! Looking at the list can be overwhelming. Thanks for stopping by and commenting.